The 2018 Extreme Festival will return to the Zwartkops Raceway near Pretoria next Saturday (August 18), with seven racing disciplines on both four and two wheels scheduled to perform. Top billing on the Sasol Raceday will belong to the Sasol Global Touring Car contingent, where three drivers will continue to fight for this year’s overall title. 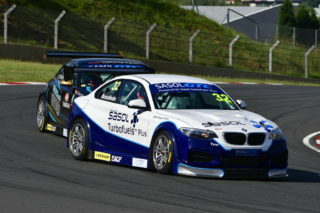 The championship contenders will be Michael Stephen (Engen Audi), Gennaro Bonafede (Sasol BMW) and Simon Moss (Engen Audi), with little to choose between them in terms of pace around the 2,4-kilometre circuit. 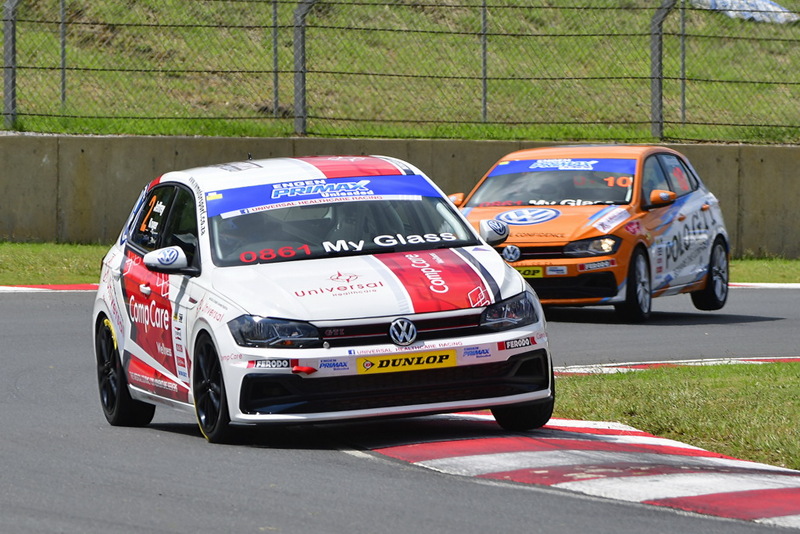 Others who could interfere at the front end must include Johan Fourie (EPS Courier BMW), Daniel Rowe (VW Motorsport Jetta), Robert Wolk (Sasol BMW), Michael van Rooyen (RCS BMW) and Mathew Hodges (VW Motorsport Jetta). 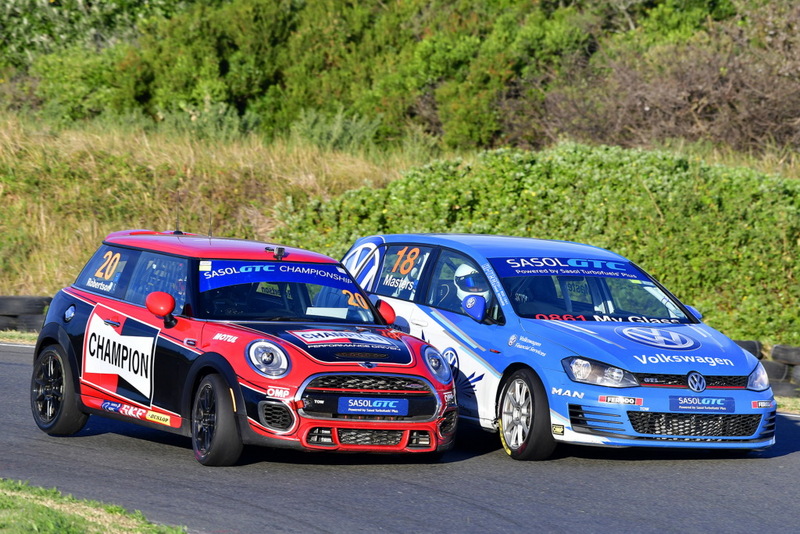 The GTC2 class should see a continuation of the season-long battle between Keagan Masters (VW Motorsport Golf GTI, Bradley Liebenberg (Ferodo Mini JCW) and Devin Robertson (Champion Mini JCW). 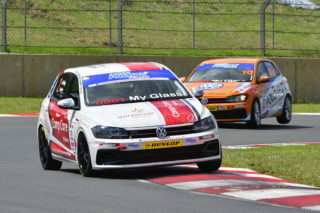 They will be chased by people like Trevor Bland (Universal Health Golf GTI), Charl Smalberger (Sabertek Golf GTI), Adrian Wood (Kyocera Golf GTI), Paul Hill (Kalex Golf GTI), Dayne Angel (Autohaus Angel Honda Civic) and Bob Neil (Delmon Mining Ford ST). 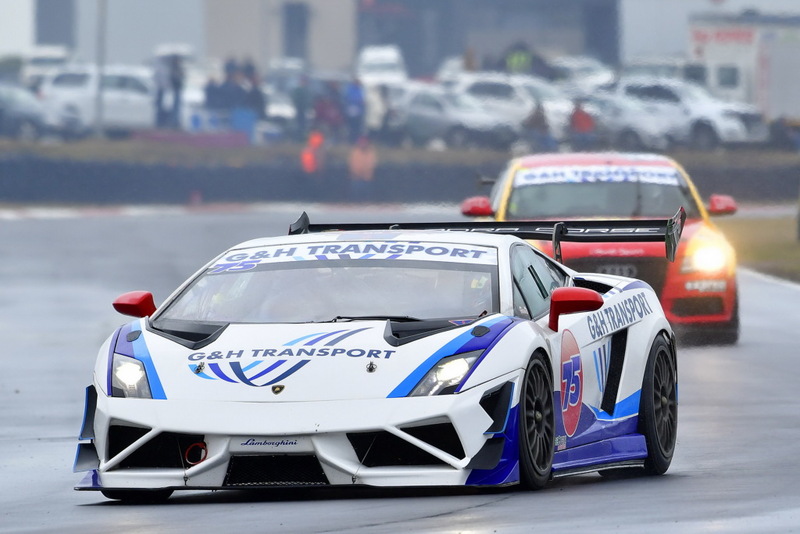 One of the day’s biggest drawcards should be the races for G&H Transport Extreme Supercars. The man to beat must be championship leader Charl Arangies in his Stradele Lamborghini Gallardo. His closest adversaries will include drivers like Simon Murray (Stradale Lamborghini Gallardo), Jonathan du Toit (TAR Ferrari 458), Gianni Giannoccaro (G&H Transport BMW M3 Turbo), Dawie Olivier (G&H Transport BMW M3 Turbo), Mark du Toit (TAR Ferrari 458 GT3), Nicky Dicks (Stradale Porsche 997), Franco di Matteo (Deltec Alfa Romeo Turbo), and Ricky Giannoccaro (G&H Transport Lamborghini Gallardo). Exotica apart, the category should deliver the event’s quickest lap time. 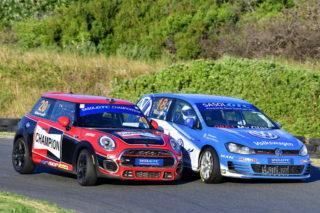 The day’s closest racing should be provided by the Engen Polo Cup brigade, with 24 identical two-litre turbocharged Polo race cars taking to the tarmac. Multi-talented youngster Jeffrey Kruger (Universal Healthcare Polo) leads the title chase, and he will lock horns with points ladder adversaries Tasmin Pepper (Electric Life Polo), Jonathan Mogotsi (VW Motorsport Polo) and Clinton Bezuidenhout (Glyco Engine Polo). Other potential front runners will include Keegan Campos (Campos Transport Polo), Darren Oates (Payen Polo), Daniel Duminy (SMD Polo), Delon Thompson (MF Autobody Polo), Juan Gerber (Gerber Polo), Benjamin Habig (Just Tools Polo) and Justin Oates (Payen Polo). Single-seater racing fans will not be left out in the cold. Nicholas van Weely (Magnificent Paints Mygale) should be the Investchem Formula 1600 victory favourite, chased by the likes of Stuart White (Fantastic Mygale), Alex Gillespie (ERP Trucking Mygale), Cameron O’Connor (Universal Health Ford), Chassen Bright (Fantastic Mygale), Andrew Schofield (Investchem Mygale) and Andrew Rackstraw (Investchem Mygale). The man to beat in the Hankook Formula Vee events should be Jaco Schriks (Bean Child Rhema), challenged by Peter Hills (Lube Fusion Rhema), Gert van den Berg (BP Nantes Rhema), Lendl Jansen (Bull Security VW), Brandon Hills (Lube Fusion Rhema) and Vaughn Hills (DO Parts VW). Greame van Breda (Stefanutti Stocks ZX10R) and Sven Grune (Kawasaki ZX10R) should continue their season-long fight for supremacy at the front end of the Red Square Kawasaki Masters races. Chasing them should be riders like Teddy Brooke (Brooke Fridge ZX10R), Jonty Collard (Kawasaki ZX10R), Jaco Gous (Kawasaki ZX10R), Sanjiv Singh (Double Apex ZX10R), Andre’ van Vollenstee (Stunt SA ZX10R), Appanna Ganapathy (ART ZX10R) and Johan le Roux (Avidan ZX10R). Topping the Bridgestone Sub-10 Superbike entries will be Harry Timmermann (Supabets BMW S1000RR), challenged by Coen Erasmus (Auto Investments BMW S1000RR), Gareth Jackson (Morphine Kawasaki ZX10R), Zoe Bosch (Monroe Kawasaki ZX10R), Luca Bertolini (Izinga Worx Kawasaki), Byron Rothquel (Magmagic BMW S1000RR) and Ian Thomas (SA Compressor Kawasaki ZX10R). Racing behind them will be the Bridgestone Challenge motorcycles, with podium chasers to include Waseem Wadvalla (Fast Bike Yamaha R1), Michael Dixon (Westside Honda), Naasief Wadvalla (Fast Bike Kawasaki), Harry van As Wellness Group Honda and Loutjie Vermeulen (BST Suzuki). 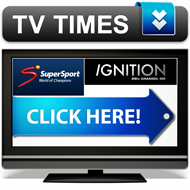 The Zwartkops Raceway gates will be open from 7am, with qualifying sessions for all the categories starting at 8am. Racing proper will commence at 11am. The on-track action apart, there will be a Kiddies Corner in the pits, food & drinks stalls, plus live entertainment. Everybody will be invited to visit the pits on foot at any time, and the circuit’s Mini Moke passenger trains will run between the pit gates and the spectator areas all day long. Food and drink will be on sale or you may take your own. Admission will cost R120 per adult and R90 per student, with kids under the age of 12 years going in for free. 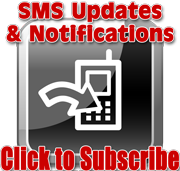 For more information, call the Zwartkops Raceway office at 012 384 2299 or 082 390 6016.